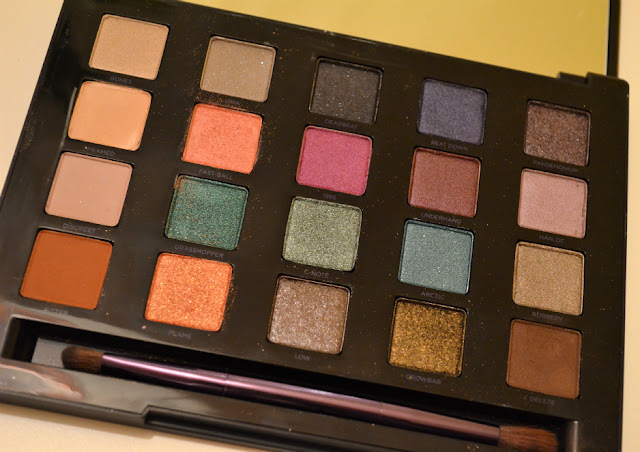 I am a huge fan of Urban Decay, and pretty much since I was a teenager I've been obsessed with their eyeshadow palettes. 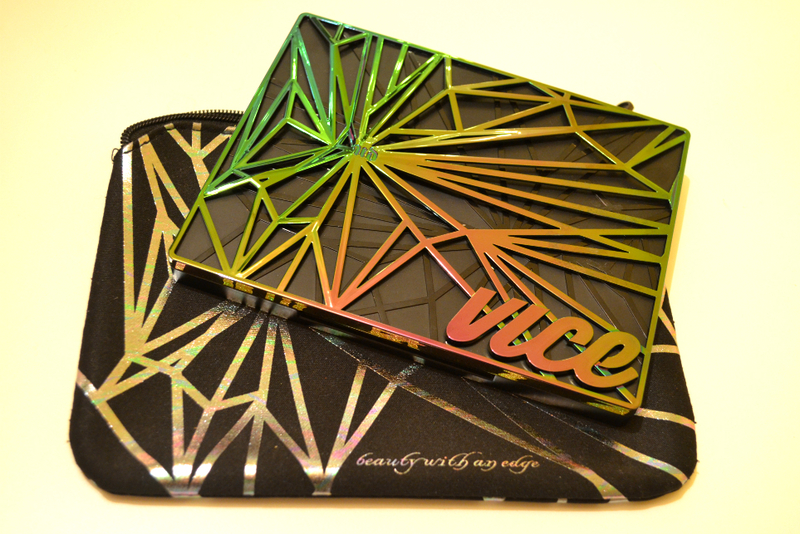 For the holiday season they've just released a limited edition Vice palette, and I was lucky enough to get my hands on one early (but not lucky enough to stick to a blog schedule last month, due to house trauma - oops!). The Vice4 palette comes with 20 never-before-seen eyeshadow shades, along with a massive mirror, a double-ended shadow and crease brush, and a cute coordinating bag. The palette is filled with rich, deep jewel tones and has a nice mix of matte and glittery shades - perfect for cold, wintery days. Urban Decay boast that every shade features their 'pigment infusion system' giving a rich, velvety, blendable colour that lasts. I know from experience that their glittery shades last FOREVER, but you'll get the best results with their shadows if you use an eyelid primer too. 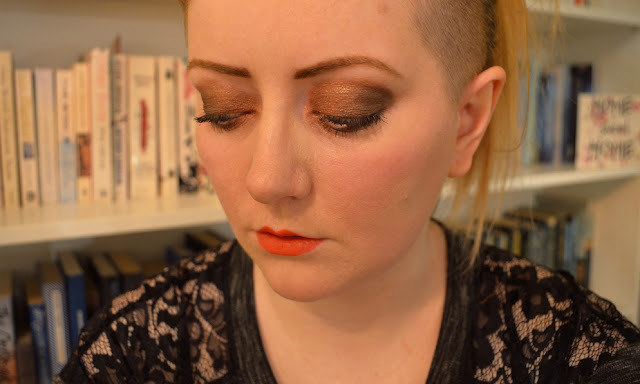 My favourite colour in this palette is Bitter - a red brown matte eyeshadow that is really striking on. I used that for the base of a smoky eye look, with Delete (a deep chestnut brown) in the corner of my eye, and a light brush of Flame (a bright orange with gold micro glitter) in the crease of my eye. 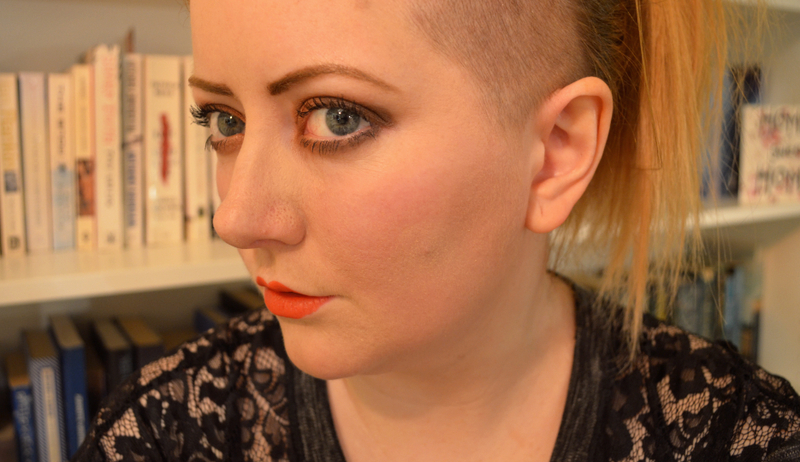 I love this makeup, and it's perfect with a red lip. The palette sits at the very top end of my make up price point - it's £43, which I think IS expensive (although I realise some people spend a fortune on make up), but I have loved Urban Decay for a very long time - I think the colours are beautiful, you'll get so much wear out of it, and it would make a brilliant gift for a make up lover (every palette I've ever been given has been loved to death!). Wow this looks insane! Look at all those pretty colours. No wonder you've fallen hard for Bitter - what a beauty! This palette looks lovely. I've never actually tried Urban Decay before, but those green and gold hues look divine!